You are a BMW Enthusiast and have an E39, then this is fundamentally the finest shifter for You! This Sport Shifter has all of the features a performance minded driver requires. The finest materials, CAD designed, coupled with a short throw results in one extraordinary precision shifting system. Special features engineered into this unit include a two piece fully isolated stick assembly, exclusive integrated and dampened pivot cup with self lubricating pivot ball, counter balanced to reduce effort and exclusive polymer 'Iglide' T-500 lower pivot bushings that are impervious to contamination. The harder this bushing is pushed, the better it works! Featuring an exclusive adjustable pivot, which allows this shifter to fit both standard and M Series applications. 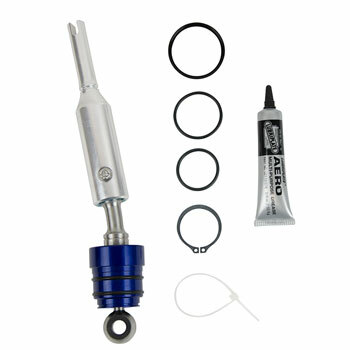 All of this combined with a simple straightforward installation provides a professional level shifter. Provides a 25% throw reduction in E39s and 20% throw reduction in the M5 vehicle. B&M also offers a lifetime warranty! If performance is everything to you - let B&M give you the Edge! B&M shifters have spelled quality for decades. Their motorsports grade shifters for BMW are no different and we have had the same unit in our World Challenge Race E46 for more than 8 years! For quality engineering and excellence in construction, you can stop your search with the B&M short shifter. The rest are just fancy shifters!